One of the most important benefits of Chiropractic care is the restoration of normal alignment and mechanics to your spine. But getting the shape back to where it should be takes time and effort… especially if your spine is tight and rigid to begin with. If you’ve ever worked with a fresh block of modeling clay, you know how tough it can be to mold right from the start. 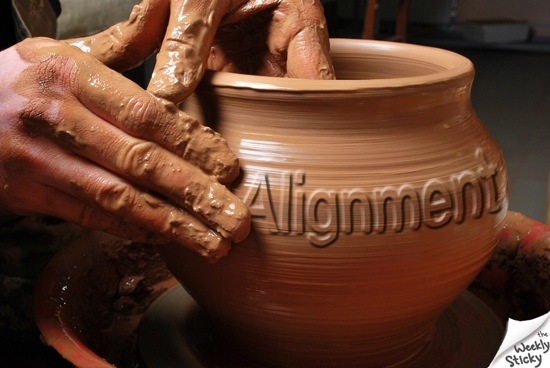 You have to work with it – kneading and loosening it until it becomes pliable. The more you work with it, the more malleable it becomes and shaping becomes easier. Re-establishing the normal front alignment and lateral curves of your spine is no different. If your spine has never been adjusted before, it’s not uncommon to feel some tightness or soreness in the early ‘kneading’ part of care. But don’t worry, it’s only temporary – much like the soreness you feel the first time at the gym. With each adjustment you’ll gain more flexibility, and with more flexibility – less tension and discomfort.